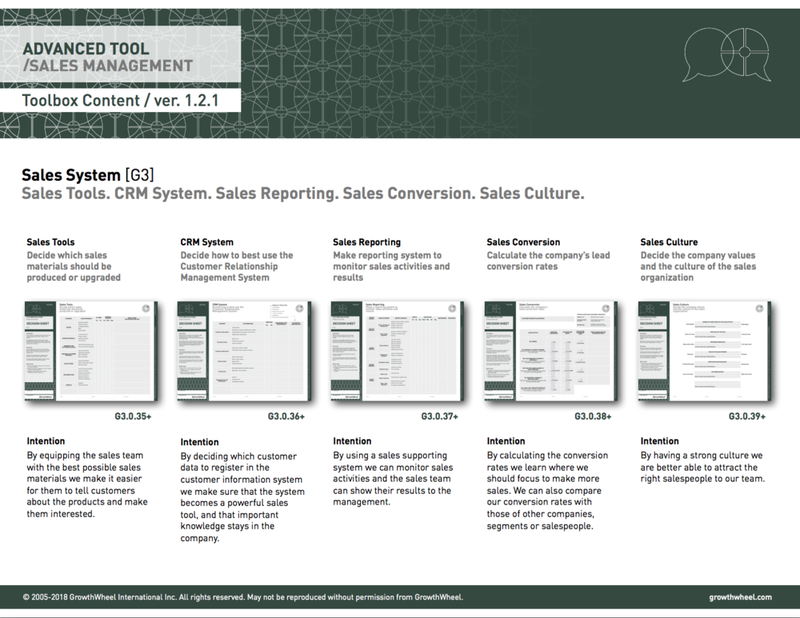 Review the company’s sales cycle and the resources it requires. 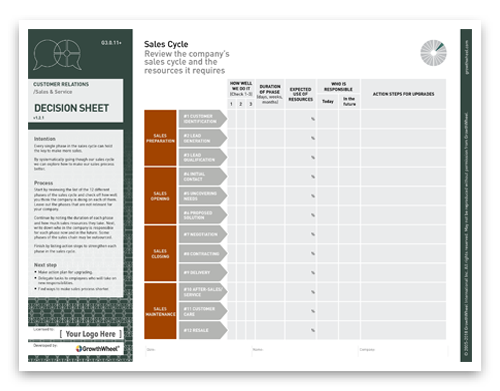 By systematically going though our sales cycle we can explore how to make our sales process better. 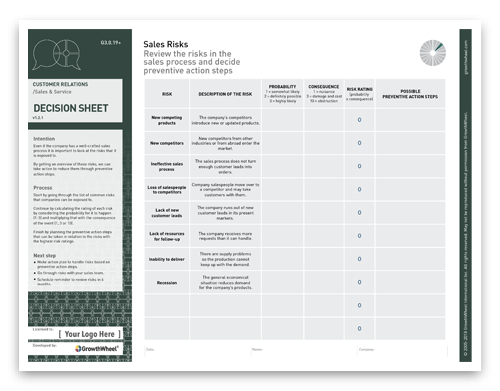 Review the risks in the sales process and decide preventive action steps. By getting an overview of the risks the company is exposed to we can take action to reduce them through preventive action steps.